Community Walkabouts are your opportunity to tell us what would make your community a better place to live and how we can work together to achieve this. 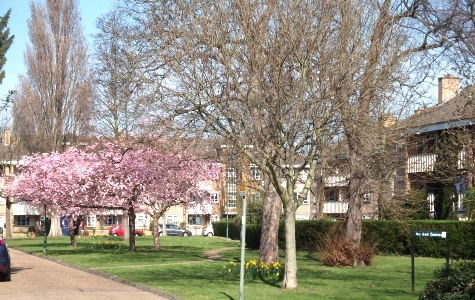 The next walkabout will focus on the area of Denmark Gardens on Wednesday 31st May at 3.30pm. They are arranged on a biannual basis are open to all residents and are attended by SHP’s Chief Executive, your Neighbourhood and Estate Managers and our repairs contractor Mears. Walkabout - FAO Jason Simpson, Housing Manager. To read about previous Community Walkabouts please see click here. In light of recent news items about fire safety regulations, following the publication of Dame Judith Hackitt’s report, we would like to remind residents that our first and foremost concern is their safety. Following the tragic events at Grenfell Tower in June 2017 we undertook a wide range of measures to redouble our commitment to fire safety. The cladding on SHP’s two clad blocks, Chaucer House and Balaam House, was not found to be unsafe and did not need to be removed. We commissioned a team of forensic and expert architects to carry out inspections of all our blocks with five or more storeys. Following their findings we are carrying out extra safety enhancements at Balaam House and Chaucer House, including the installation of sprinklers at Balaam House and a review of fire doors across all our flats. Our extensive regeneration of Chaucer House in 2016 included the installation of a ground-breaking retrofit sprinkler system. We undertake fire risk assessments and inspections in all our buildings where these are necessary on an ongoing basis, and we make upgrades and carry out maintenance works arising from these as necessary. We work with residents to ensure communal areas are free of combustible items which could compromise safety or stop people getting out of the block in an emergency, and ask you to contact us if you have any concerns about the safety of your home or wish to report an incident. Click here for more fire safety information or here for home fire safety advice from the London Fire Brigade. 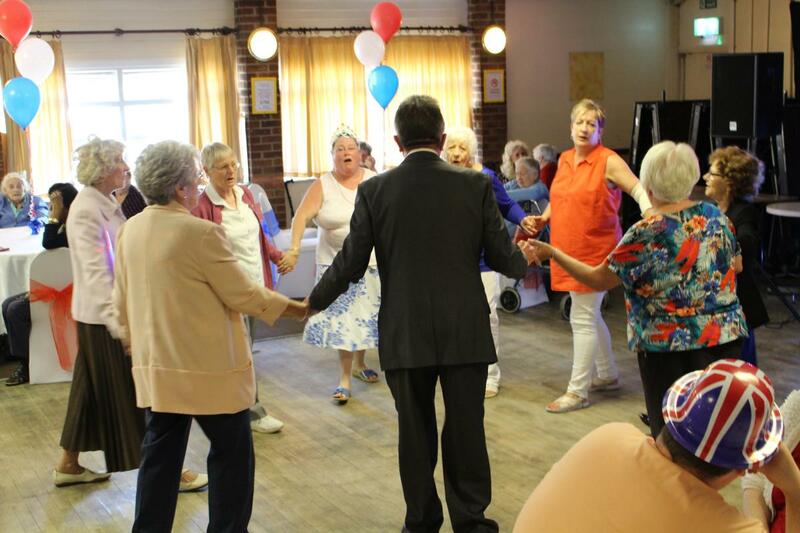 On Thursday 17 May more than 80 of our residents and staff came together to celebrate the royal wedding with a right royal knees up. Residents from across our supported housing schemes enjoyed a disco, refreshments, a special royal wedding-themed photo station and the chance to have a good catch up with their neighbours. Jason Charles, Community Development Officer, added “This event was a chance for our residents to celebrate a historic event together with their friends and neighbours - and to have a sing and a dance. To find out what’s coming up at our Community Hubs and what’s happening around the SHP community, check out our community events calendar. The next Community Walkabout will be on Thursday 17th May at 5pm. 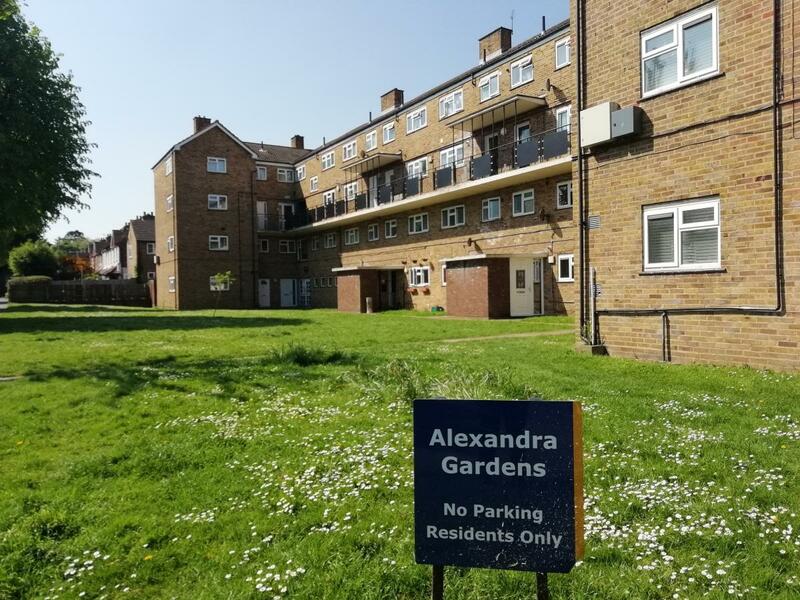 Sutton Living invited all residents to a consultation meeting in October 2017 to hear about some plans that are being considered for the development of a new block of flats within the estate grounds of Alexandra Gardens. Thank you to all those who attended. The feedback was extremely useful and we would like to meet with residents again to further explore how the proposed development could support some estate improvements to the wider estate. To help us identify estate improvements we would very much like to meet with residents to have a joint walkabout of the blocks and estate grounds. We would therefore like to invite you to come along and join us at 5.00pm on Thursday 17th May 2018, meeting at the entrance road of Alexandra Gardens. We anticipate the walkabout should take no more than 45 mins to 1 hour after which we plan to gather at The Oaks Way Centre, Oaks Way, Carshalton, SM5 4NQ so we can summarise any ideas etc. Sarah Holland-Baker, the Housing Manager for Alexandra Gardens and Martin Reddick, District Housing Manager will be attending the walkabout along with other key SHP staff and partners including Peju Fabunmi, Project Manager for Sutton Living. Sutton Housing Partnership is committing to replacing every tree we cut down and only removing trees which prove to be a threat to life, limb or property. We want to ensure your neighbourhood is kept safe and clean. This is part of our commitment to delivering neighbourhoods people can be proud of, which includes working with residents to deliver good external spaces. If you spot any incidents of fly tipping on our estates please report them to us. 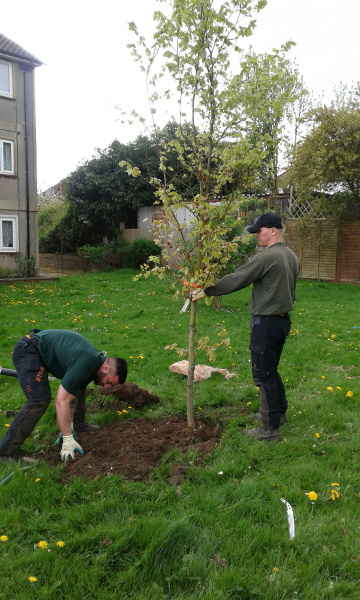 Paul Fisher, Tree, Voids And Garden Officer explained: “We are committed to the environment and also to ensuring that our estates remain green and pleasant environments. Trees play a crucial role in cleaning the air and providing oxygen as well as being great for biodiversity so it's essential for us to maintain our stock of trees at their current level. “As a result, we only ever remove a tree if it is dangerous and can't be made safe. We're now committing to going even further to protect our stock of trees by replacing every communal tree we cut down."